Tiger Woods is “hopeful” he will be able to compete in the US Open next month. The former world No 1 withdrew from the Players’ Championship in Sawgrass last week because of injury after just nine holes and 42 shots. The 35 year-old suffered a recurrence of knee and Achilles problems that had dogged him at the Masters in April. And today the American has revealed he irritated the left knee and Achilles, but they had not sustained any new damage. 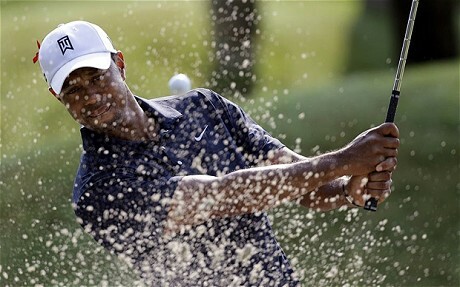 Woods has been advised to rest and undergo cold-water therapy and soft tissue treatment with a view to competing in the US Open at Congressional Country Club from June 16-19. However, his website revealed it was “doubtful” Woods would be able to compete in the Memorial Tournament at the start of June at Muirfield Village Golf Club.